Give your Contact Centre team the recognition it deserves! The 3rd Annual Contact Centre Week 2018 is delighted to announce our Annual Contact Centre Excellence Awards! 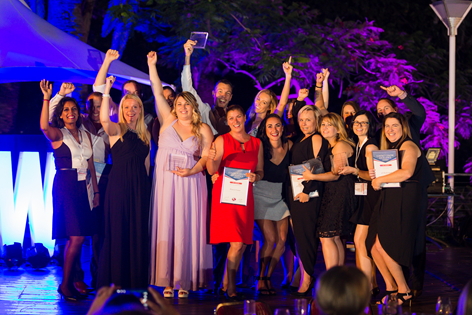 As part of Australia's leading Contact Centre and Customer Service event, your participation not only rewards your teams' effort, it also positions you and your organisation as thought leaders in region. If your team has gone above and beyond in the pursuit of Contact Centre Excellence, apply for the following awards to reward your colleagues. Sponsorhip available! Contact sponsorbranding@iqpc.com.au to enquire. revealed during the Awards Ceremony. Simply download the application forms below and email your completed forms to contactcentreawards@iqpc.com.au to apply. Don't forget to provide us with your contact details so we can get in touch, and photos of your happy Contact Centre team at work #CCWeekAU! If you have any questions or would like to find out more about the Awards, please email us at contactcentreawards@iqpc.com.au. Submissions close Friday 26 January 2018. Email sponsorbranding@iqpc.com.au or call +612 9229 1050 to see how you can get involved with the leading contact centre industry awards of the year.